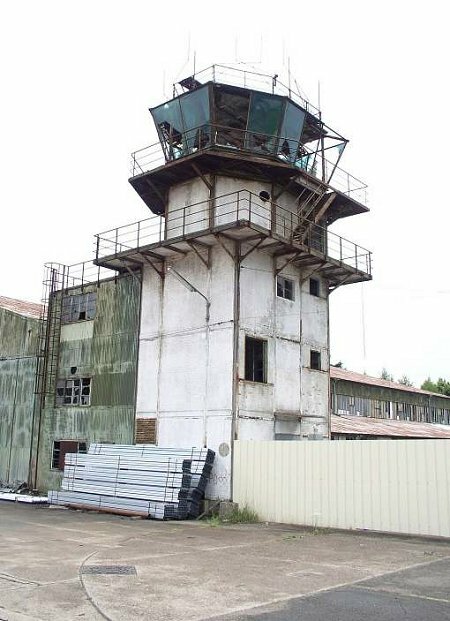 Another view of the Control Tower - 15 August 2003. 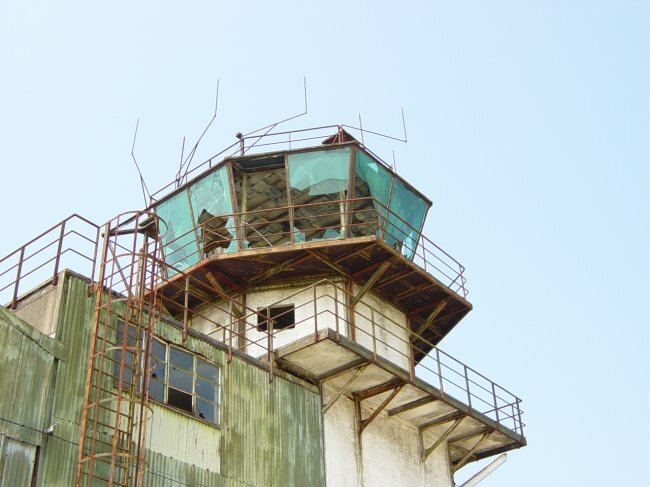 Remains of the Control Tower - 24 July 2003. 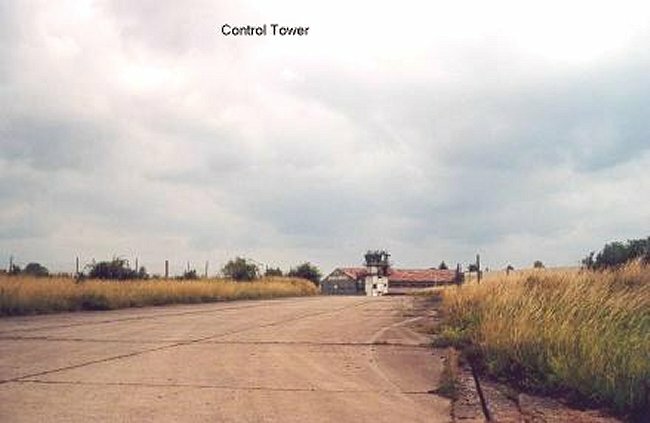 Approaching the Control Tower - 1 June 2003. Note the absence of Sabres on the tarmac. 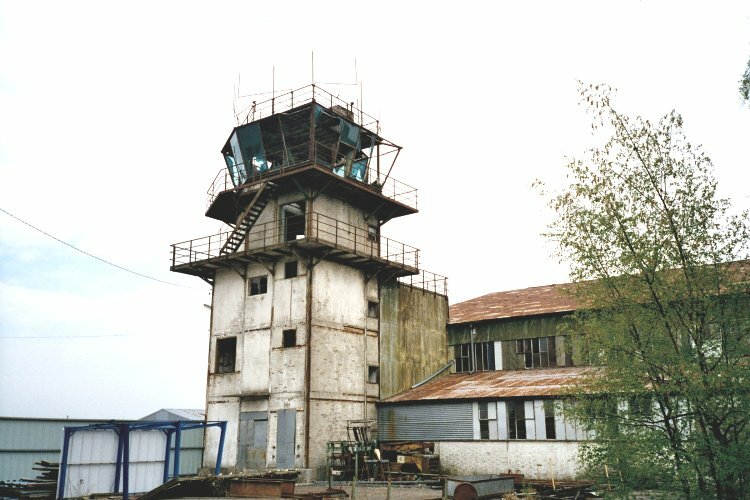 A closer view of the Control Tower - 1 June 2003. 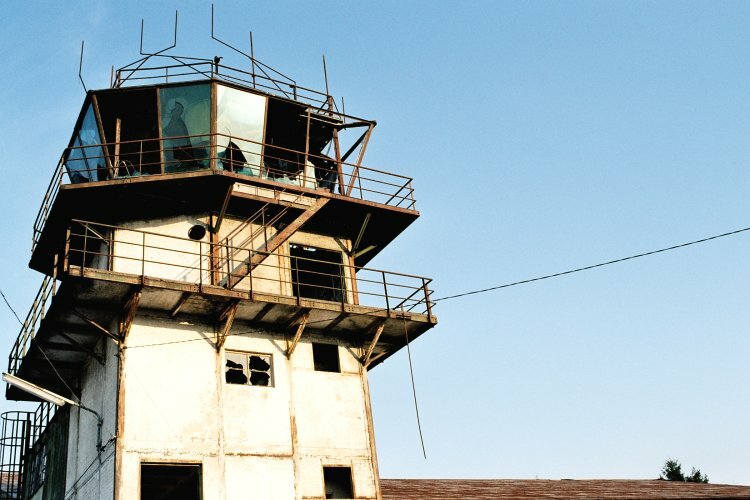 This view shows broken windows and disrepair of the Control Tower - 1 June 2003. 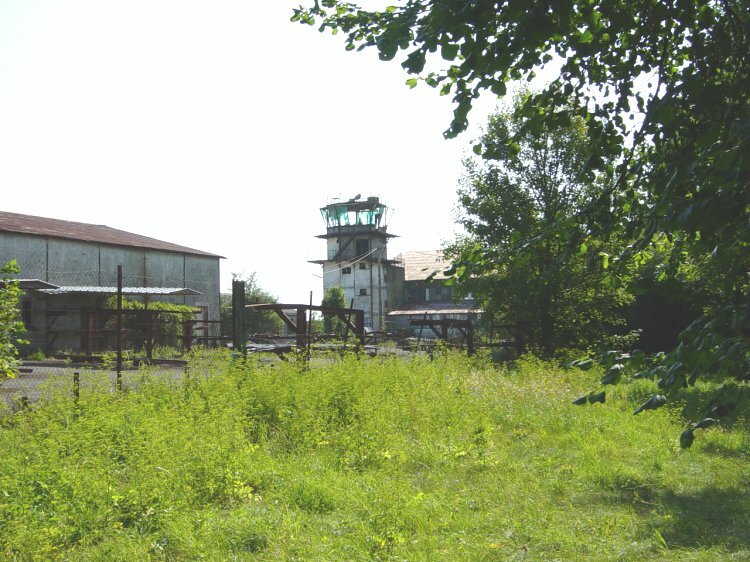 Approaching the remains of the "control tower" at Marville - April 2003. 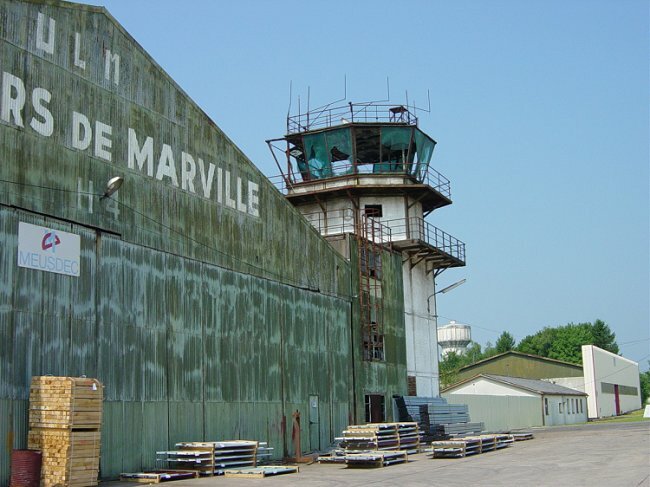 The remains of the "control tower" at Marville from another angle - April 2003. 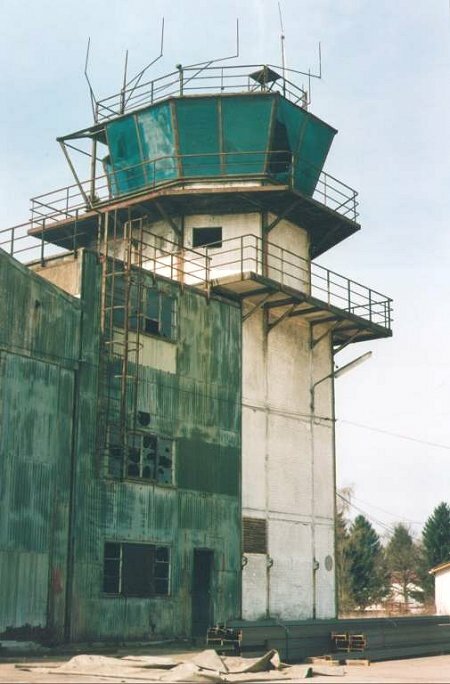 A closer view of the remains of the "control tower" at Marville - April 2003. 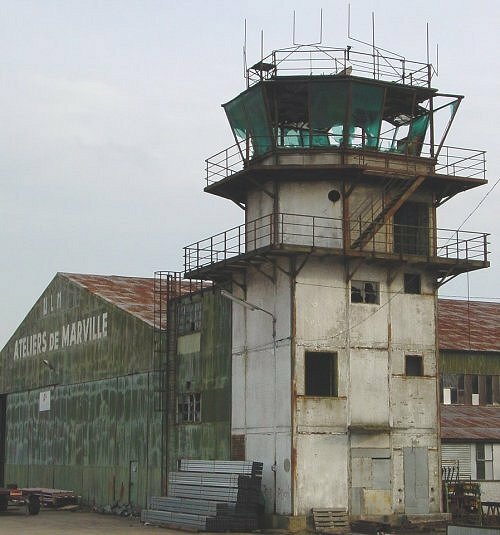 Yet a closer view of the remains of the "control tower" at Marville - April 2003. 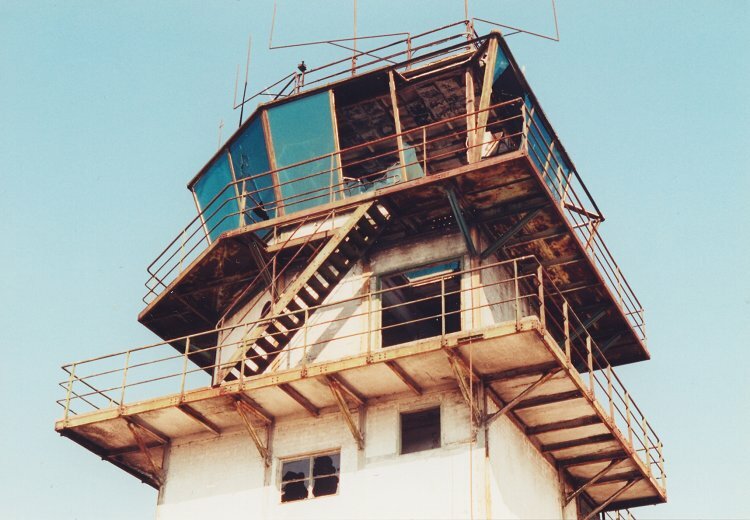 The control tower - April 2003. 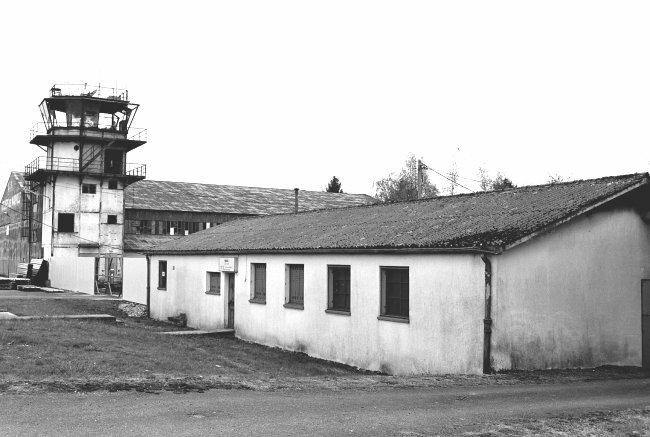 The control tower and an unidentified building - April 2003. 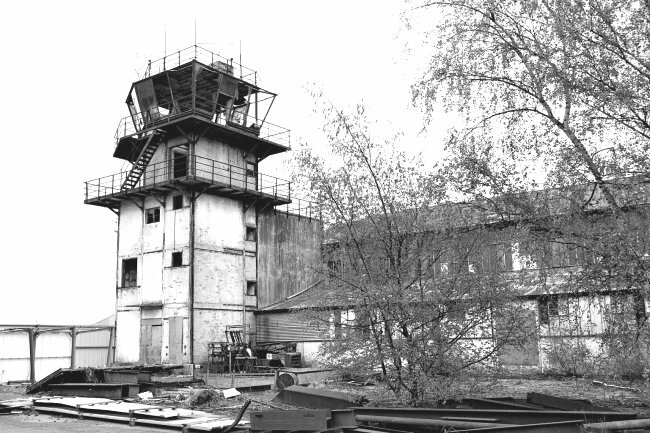 The remains of the "control tower" at Marville - April 2003. Distant shot of the control tower - May 1999. 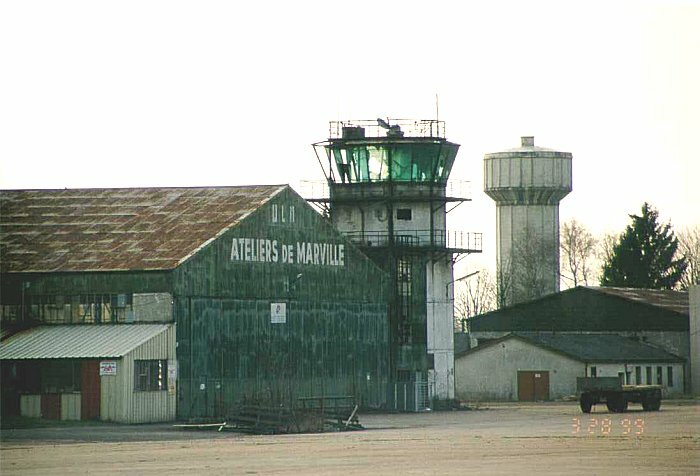 The remains of the "control tower" at Marville - 28 March 1999. 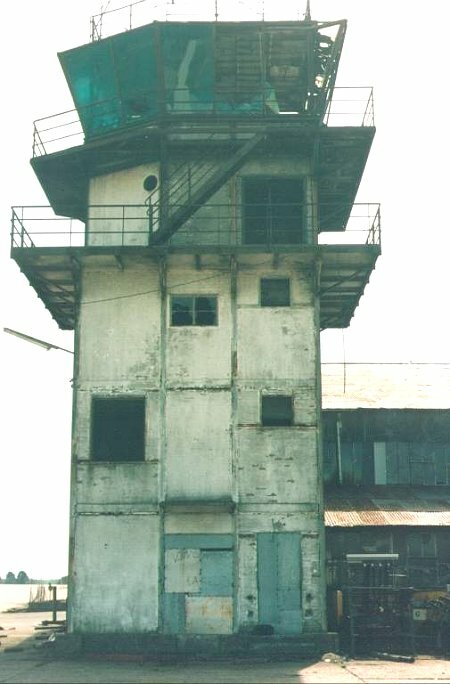 Corner view of a damaged and neglected Control Tower - July 1996. 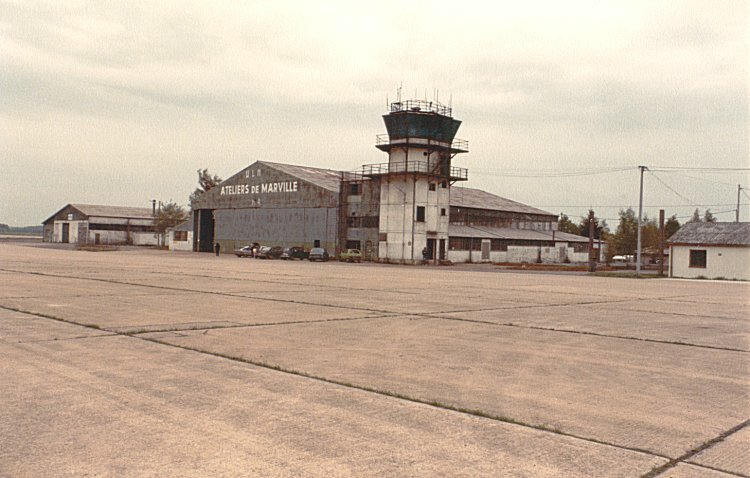 Photo of #4 hangar and the control tower - May 1984. 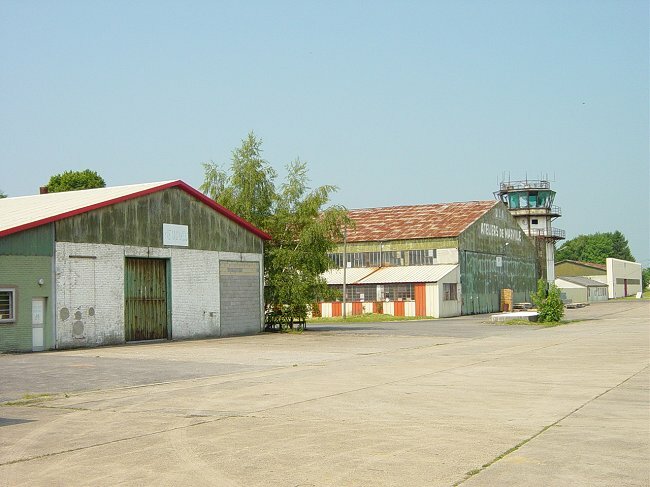 Closer image of #4 hangar and the control tower - May 1984. 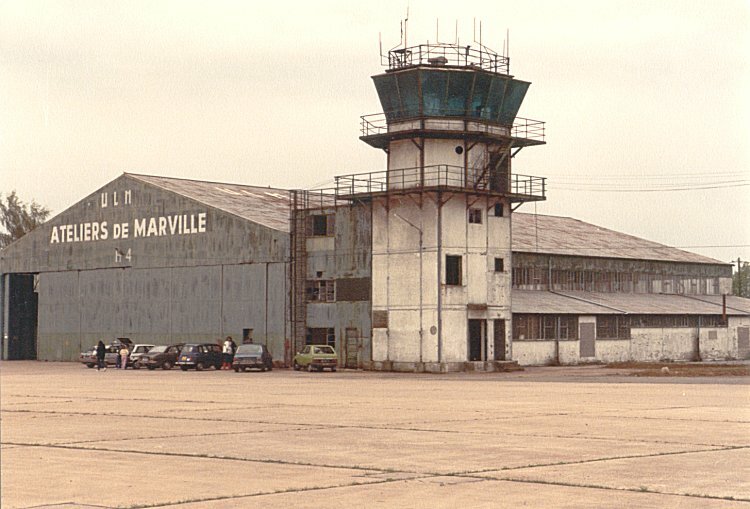 1 Wing Marville is closed in 1967. 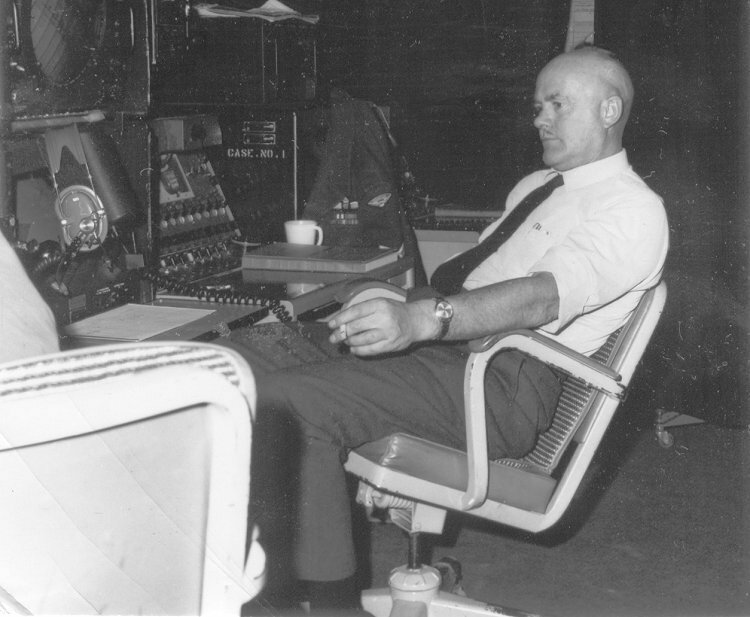 Tim Knight at the GCA radar scope - November 1961.